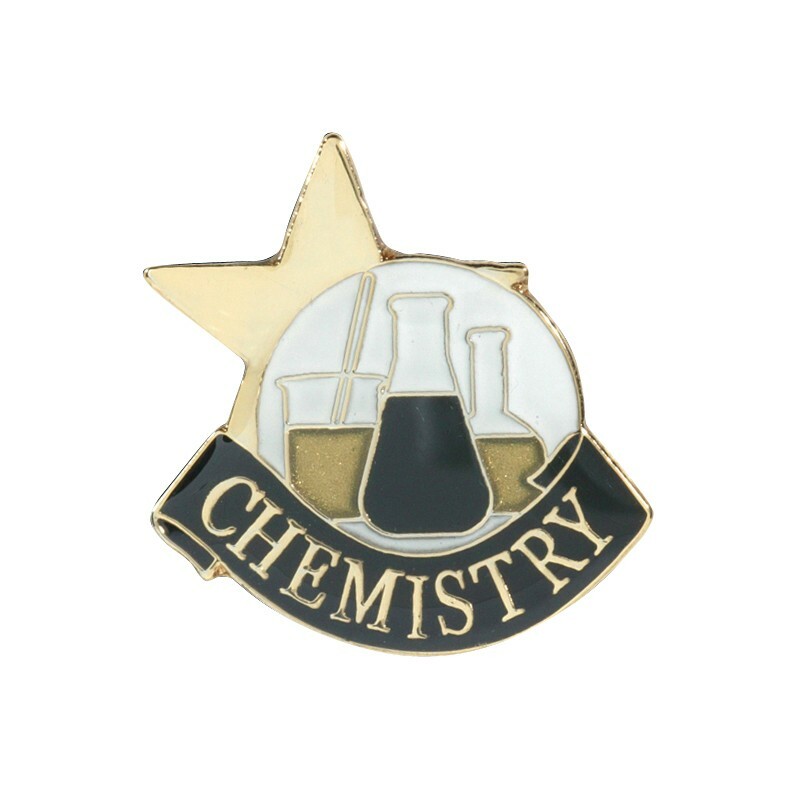 Reward your high achieving chemistry students with a Chemistry Lapel Pin. This dramatically-detailed pin has a beautiful gold, black and white finish. The pins are just the right size for a lapel, duffle bag or letter jacket, and come in a transparent presentation box. .